SmartTest’s outputs are designed to boost productivity, security and speed. 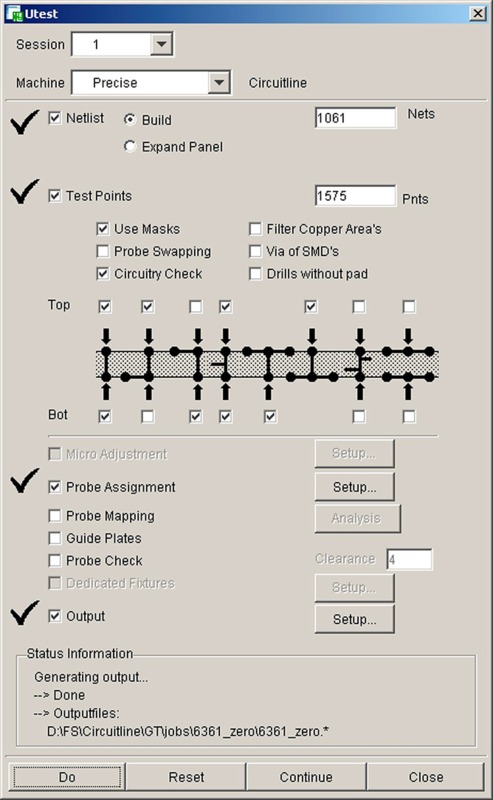 They also provide the cornerstone for TFISpy, Ucamco’s Test Floor Integration product that streamlines outputs from test systems of different make and model on your shop floor into a single data model for uncomplicated and consistent error review and partial retest. SmartTest is a highly productive data-preparation station for feeding your electrical test department with tailor-made and error-free programs. Its outputs drive a host of electrical test equipment, ranging from bed-of-nail fixture testers, over flying probe units to fault-finding and verification stations. 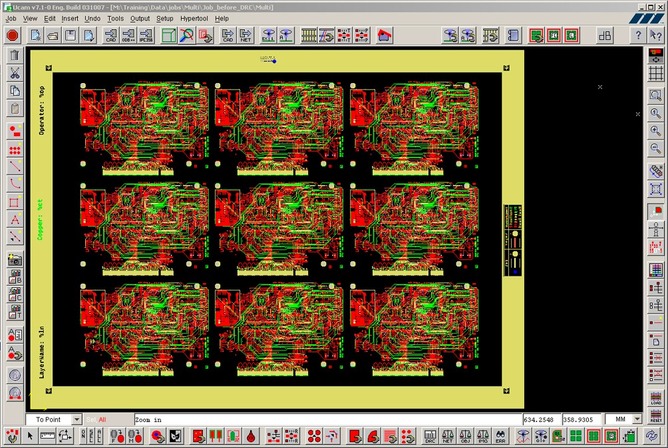 SmartTest supports the full range of image, drill and netlist input formats currently around in the industry. Thanks to the embedded field-proven UcamX technology, complex build-ups with any number of blind and buried drill layers or highly complex copper layers with countless paint-and-scratch levels are handled with ease. A vast library of editing functions allows the operator to touch up any inconsistencies in the incoming customer data in secure way prior to netlist and testpoint generation. The netlist generation algorithms are fast and accurate and process jobs of any complexity flawlessly. Sophisticated netlist compare routines detect any inconsistency or deviation from a golden reference netlist. The result is a 100% netlist security and the highest possible operator productivity. SmartTest features best-in-class testpoint generation algorithms, based on IPC guidelines. They automatically handle loops and odd-shaped pads and support 2-3-4 point and z-axis auto-staggering. The result is a safe and optimal test set, yielding the highest test speeds for the chosen test strategy and maximum operator throughput. SmartTest’s highly optimized adjacency algorithms, including Z-adjacency, help create high-grade test programs for effortless and secure testing. They reduce test times on flying probe test equipment dramatically. Workflow assistance guides the novice operator through the data preparation process. A shortened learning curve, fewer operator mistakes and an improved comfort and ease of use are the unmistakable and immediate benefits of this unique SmartTest feature.